The bike that I will be riding during my Coast to Coast tour is a Velomobile. This is a three wheel recumbent bike with two wheels in front and one in the back. 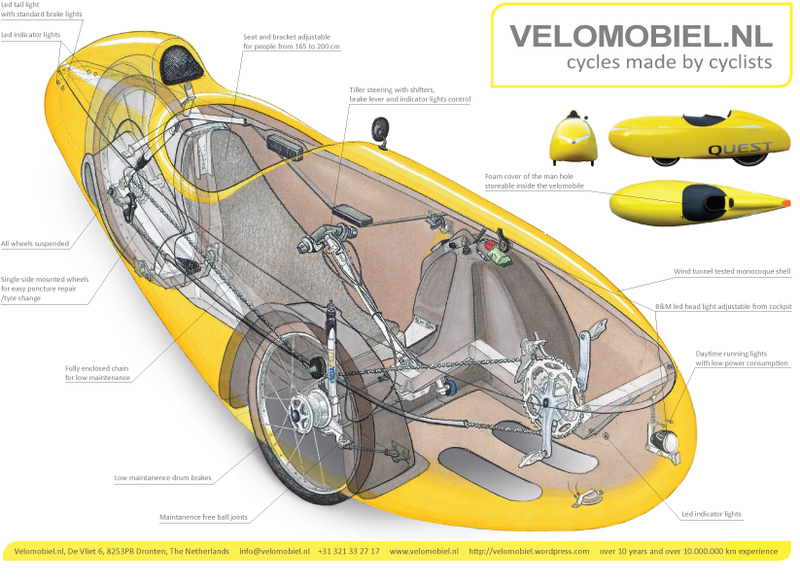 The producer of this bike is Velomobiel.nl from Dronten, the Netherlands, the model is the Quest. Besides the speed, the comfort of this bike is also great. No backpain, shoulder stress or saddle sore but a very comfortable ride. The bike also offers possibilties to ride 365 days a year, not affected by bad weather circumstances.